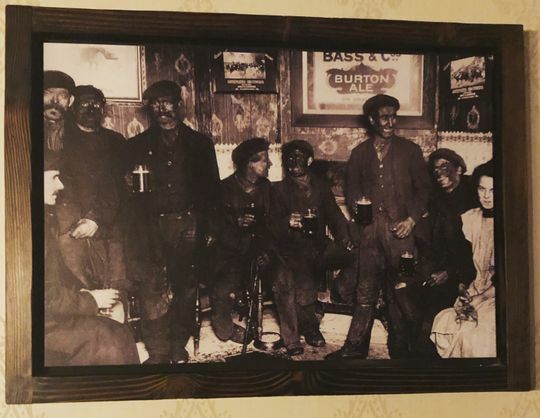 If you see a group of coal miners enjoying a drink in a bar after a hard day of backbreaking work in a dangerous coal mine, then congratulations, you are a sane, reasonable person. If, on the other hand, you see a group of White men in blackface, you might be as delusional as Rashaad Thomas, opinion contributor for azcentral who contributes his opinion on a recent experience in which he was offended by that picture on the wall of a restaurant in Phoenix, Arizona. 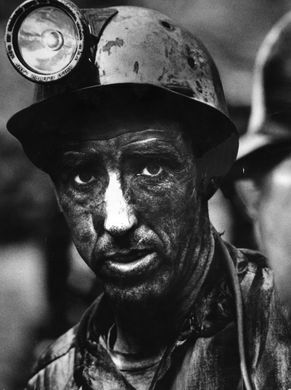 His opinion piece is titled, “Phoenix restaurant says this is a photo of coal miners. But I see offensive blackface”, which should say something about the quality of Mr. Thomas’s opinions. Yet, the photograph remained on the wall. He said he would talk to the other owners and get back to me. While leaving, I asked him had he spoke with the other owners. He had not spoken with them, but mentioned Google said it’s coal miners after work. Let’s make everything clear. 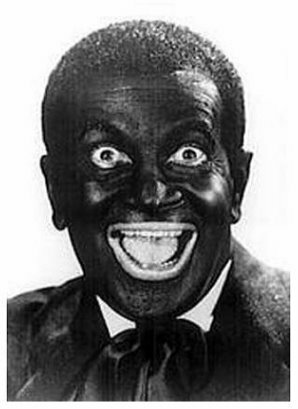 This is a picture of a White man in blackface. And this is a coal miner. Now, both men have faces covered with a black substance, but the one man covered his face in black makeup to impersonate a Black man while the other happens to have black dust all over his face because coal mining is a dirty occupation and a miner is apt to emerge from the mine covered in coal dust. For me, the coal miners disappeared and a film honored for its artistic merit, despite being the most racist propaganda films ever, D.W. Griffith’s “Birth of a Nation” (1915) surfaces, in which white actors appeared in blackface. The white owner saw coal miners in the photograph. Therefore, it was not offensive. It seems to me that it is the artist’s intent that matters, not what a particular viewer might think. No offense was intended, so no offense should be taken. Fact: The photograph shows coal miners’ faces covered in soot. The context of the photograph is not the issue. Viewers cannot determine the intention of an artist’s work. Art also exposes society’s blind spots. Blackface is only a glimpse of a larger issue. The larger issue is the lack of representation of marginalized people and their voices in Phoenix. Frequently, I enter art galleries and I am not represented in the art, which leads to uneducated curation for exhibitions. While shopping I am ignored because it is assumed I unable to purchase anything, or I am followed by a security guard because it is assumed that I am a threat to the store. Each assumption is based on a stereotype. Blackface caricatures stereotypes of black people. At the downtown Phoenix restaurant, my concern that the photograph of men in blackface was a threat to me and my face and voice were ignored. A business’ photograph of men with blackened faces culturally says to me, “Whites Only.” It says people like me are not welcome. But it was not a picture of men in blackface. The idea that the picture says, “Whites only” or that people like him are not welcome is entirely a product of Thomas’s mind. No offense is intended but he is determined to be offended. The rest of us are not obliged to share his idiosyncratic interpretation, nor should we be required to appease the offended sensibilities of the most sensitive, or at any rate the most assertive and overbearing among us. That way lies madness. The operators of that downtown restaurant can choose to take the photograph down, leave it up or create a title card with an intention statement. No matter their decision, I think the photograph should be taken down — sacrificing one image for the greater good. I think the photograph should stay right where it is. It is rather presumptuous for Mr. Thomas to come into a business and demand that that they take down a picture on their wall because he happens to be offended when no offense is intended. I think the greater good would be best served if we all stopped looking for reasons to be offended. It might help if we stopped paying attention to the perpetually offended.